In Part 2 here, we discuss the third and fourth truths about leadership, as espoused by James M. Kouzes and Barry Z. Posner. Truth no. 1: YOU make a difference. Truth no. 3: Values drive commitment. Truth no. 5: You can’t do it alone. Truth no. 6: Trust rules. Truth no. 7: Challenge is the crucible for greatness. Truth no. 8: You either lead by example or you don’t lead at all. Truth no. 9: The best leaders are the best learners. Truth no. 10: Leadership is an affair of the heart. Leaders cannot demand commitment from their people; they need to earn it. Your people want to know who and what they are “laying their lives down” for. They want to know your values – what you care about, why you care about those things and ultimately, why they ought to be following you. Who are you? 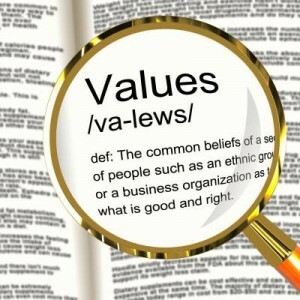 What are your values? 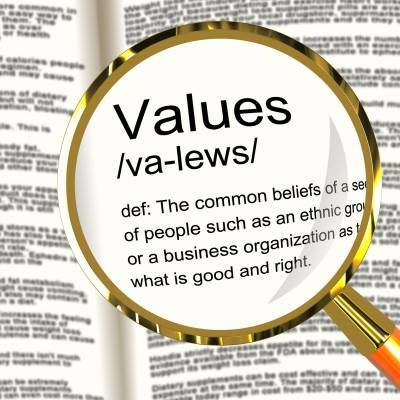 Large organizations with hundreds or thousands of employees spend significant time and money to clarify their company’s core values. Some multinationals hire consultants for millions of dollars for such an exercise. Before joining any organization, it is normal for prospective employees to check out the company’s vision, mission and core values, to know if that is a place they would like to commit a sizeable portion of their professional lives to. Similarly, you need to be certain of what your personal values are. You cannot expect anyone to follow you if you don’t represent anything of value. People don’t want to follow an empty shell; people want to follow a leader with substance. If you haven’t crystallized your personal values yet, then today is a good day to start reflecting on the matter. Find it too taxing? Or you have no time? I’d say those are rather lame excuses. After all, little inconveniences don’t prevent us from fulfilling our priorities in life such as organizing our child’s birthday party or planning a family holiday! Truth no. 4: Focusing on the future sets leaders apart. Research findings by Kouzes and Posner reveal that only 27% of the respondents chose “forward-looking” as a preferred characteristic in a colleague, whereas 70% of the same sample of respondents selected “forward-looking” when it came to their leaders. The 43 percentage point gap is the biggest difference the researchers have come across among all the characteristics they surveyed for colleagues and leaders. What does that tell us? People want to be assured that there is a promising future ahead of them and that they can achieve it under the right leader. So, how do you sharpen your focus of the future? 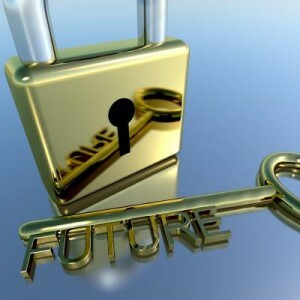 Spend time today thinking about the future in order to have more time tomorrow, that’s what Kouzes and Posner advocate. From my experience, I find that thinking deeply and reflecting is one of the hardest things for people to do today. This is because people get so bogged down by the day-to-day demands of life that they think reflection is a waste of time, they feel too tired and cannot stay focused on the task, or they are just too fearful of coming to terms with their true selves. If leaders don’t resolve this shortcoming, I believe they are unwittingly jeopardizing their own leadership potential. The reason you must invest adequate time and effort in thinking – though seemingly not “doing” anything – is because you want to be so well prepared that you will save heaps of time and opportunity costs in the future by doing things right the first time, if possible, all the time. Another tip by Kouzes and Posner is to reflect on the past in order to plan better for the future. This doesn’t mean harping on past mistakes and filling your soul with the negative vibes of old wounds and regrets, but it surely means remembering valuable lessons from the past, as well as to remind yourselves of the areas that you have been passionate about. What does it take to be able to do the above? Well, you’ve got to have a lot of imagination and optimism – and that’s the kind of substance real leaders are made of.